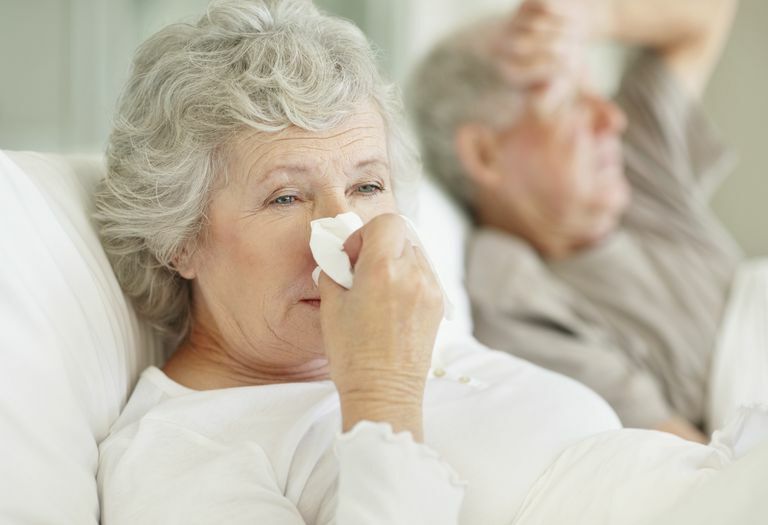 Preventing common viral infections like the cold or flu is something that everyone is interested in, but it's especially important for older adults, young children, and people with compromised immune systems—groups that are most susceptible to severe and deadly complications. Of course, anyone can get a viral infection that can sideline them from daily activities and perhaps even compromise their health. Some simple steps, from washing your hands to staying hydrated, can go a long way in providing you with viral infection protection. Research reported in the British Medical Journal reports that acute respiratory infections, including pneumonia and flu, account for at 4.25 million deaths worldwide every year, making them the third leading cause of death. Further, viral infections may cause up to 48 percent of deaths in children. Prevention strategies are absolutely worth your time and attention. When it comes to preventing illness during cold and flu season, most people think of the flu vaccine. The flu vaccine contains protection against flu strains the Centers for Disease Control and Prevention (CDC) anticipates being the most prevalent in a given year. The CDC recommends that everyone six months or older, and especially those who are at high risk for serious complications from the flu, get a flu shot. Flu shots are life-saving in children and according to a 2017 study, vaccination can significantly reduce a child’s risk for dying from flu complications. Even though a flu shot won't necessarily guard against the rogue strains of the virus experts did not expect to see, vaccination remains your best bet for staying flu-free. There is no vaccine for the common cold. In the United States, winter is prime time for illness. Cold and flu season typically starts in October, peaks in February, and can last until as late as May. Ask your healthcare provider when the flu shot is available to you. "But I've Never Needed a Flu Shot"
While you may have skipped a flu shot in the past and avoided getting sick, infection protection is even more important as you get older, especially if you suffer from chronic diseases like diabetes and heart disease or have a suppressed or compromised immune system. Infections you could fight off within a week when you were younger become more serious as you age and have the potential to lead to dangerous complications, including pneumonia or dehydration. Revisit the idea of getting your flu shot the next time it is offered. Hand washing is the most effective way to prevent getting sick. A cold virus on your hands can stay alive for up to three hours. If during that time you touch your eyes or nose, you could become infected. Good hand washing includes using plenty of soap, rubbing your hands together, and rinsing well under warm running water. When there is no soap or water available, hand sanitizers are an alternative. These products are made with alcohol and skin softeners, and while they cannot kill all germs, they can significantly reduce your risk for getting a cold or the flu virus. Washing your hands often is important, but you may not be able to keep up with every handshake, doorknob, or elevator button. Get in the habit of not touching your eyes or nose unless you've just washed your hands, as they are the most common routes of entry for flu and cold viruses. It is also a good idea to take time to wipe down germy surfaces such as light switches, faucet handles, TV remote controls, and phones with a cleaning product to minimize germs that can cause colds and the flu. Staying hydrating is the best way to boost your immune system and fight off viruses. Dry, centrally heated air can promote dehydration, which may leave you more susceptible to illness. Drink beverages throughout the day to stay hydrated and have a glass of water when you feel thirsty. Shoot for six to eight glasses of water a day and avoid alcohol and caffeine. Lack of adequate sleep is associated with lower immune function, which can leave you more susceptible to illness. To help you sleep well, try to keep a regular routine at bedtime. Most adults need seven to nine hours of sleep, according to the National Sleep Foundation, while school-age children need between nine and 11 hours of sleep. A healthy diet makes your immune system stronger and can help you prevent flu and cold viruses. Ensure that you're getting adequate amounts of fruits, vegetables, proteins, and complex carbohydrates (e.g., oatmeal and brown rice). Talk to your doctor about a multivitamin or mineral supplement if you are struggling to meet nutrient goals through diet alone. While it's not always possible to avoid every person fighting a viral infection, try to avoid contact with those you know are ill. This is especially true for people with compromised immune systems. In certain situations, you might consider wearing a mask. If you can’t avoid sick people (and even if you can), step up your hand washing and pay attention to your other defenses against germs, such as healthy eating, not smoking, and keeping allergies controlled. It might be hard to say no when your best friend asks to borrow your lipstick or your child wants a sip of your drink. But if you want to avoid getting a viral infection, one of the best ways to do that is to not share germs. If, despite your best efforts, you end up with a viral infection, time and plenty of rest will help your immune system attack the virus; viral infections cannot be treated with antibiotics or any other medicine. It is also a good idea to stay home when you are sick and keep children home until their fevers, if present, have been resolved for at least 24 hours. You should seek medical attention if you develop a viral infection and are at risk for complications. Seek immediate medical care if you or a loved one has serious symptoms, especially chest pain, shortness of breath, fainting or changes in consciousness. Looking to avoid getting the flu? Our free guide has everything you need to stay healthy this season. Sign up and get yours today. Garcia M, Beby-Defaux A, and Lévêque, N. Respiratory viruses as a cause of sudden death. Expert Review of Anti-infective Therapy, 14:4, 359-363, DOI: 10.1586/14787210.2016.1157470. Mayor S. News: Acute respiratory infections are world’s third leading cause of death. BMJ 2010;341:c6360. DOI: 10.1136/bmj.c6360. O’Holloran PL, Chen J, Foppa IM, et al. Influenza Vaccine Effectiveness Against Pediatric Deaths: 2010–2014. Pediatrics. 2017. 139(5): e20164244. DOI: 10.1542/peds.2016-4244. Why Are Some Flu Seasons Worse Than Others? Should You Use Antiviral Tissues?